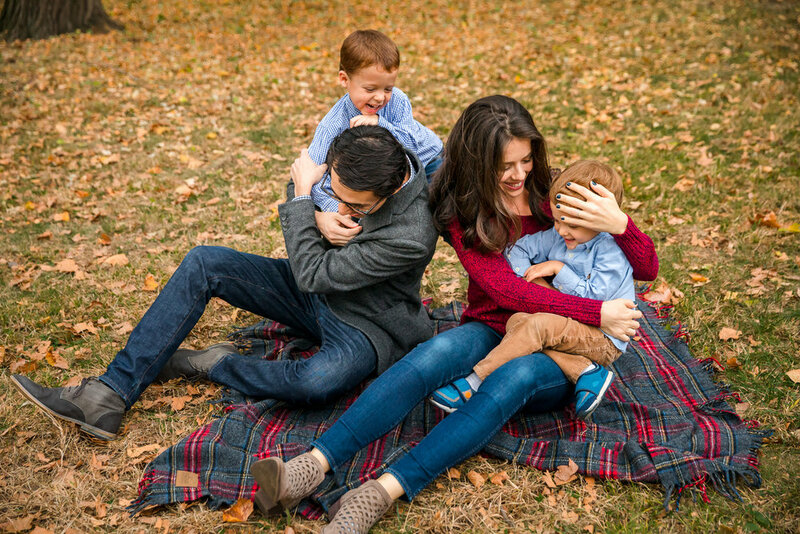 Family photography and Central Park just go together, especially in the fall. 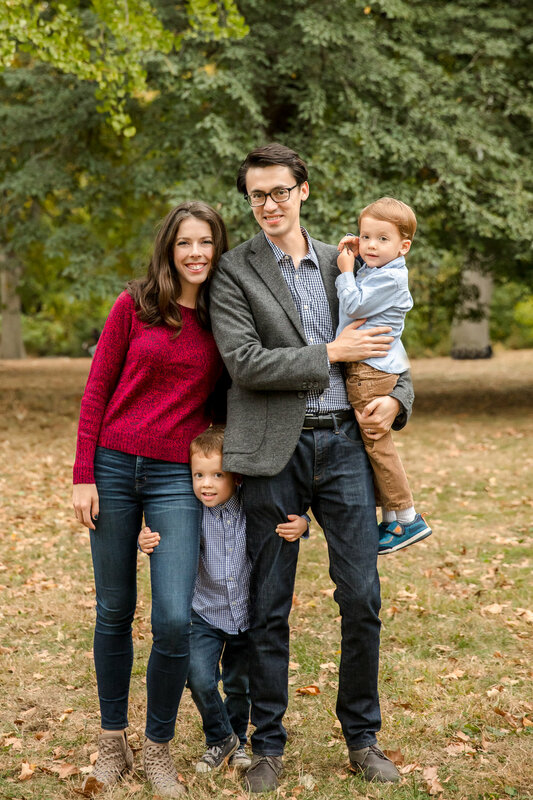 This gorgeous Upper West Side family wanted a photography session that showcased who they were: a fun loving family with two energetic young boys. We had holiday card photos in mind, but I was also careful to capture the spirit of their family and the relationship of the boys exactly as it exists today, because we all know how quickly kids grow and change. Everyone loves a sweet portrait of the whole family looking happy, but I also ADORE image of kids being kids. These boys did not disappoint. I love to think of these brothers looking at the images together when they are older, or showing their kids at Thanksgiving what fun they had playing in Central Park when they were boys themselves. I gave the family some assistance styling pieces from their own wardrobe, and mom did a beautiful job coordinating for relaxed, fun portraits. I brought a variety of beautiful blankets, as well as plenty of games to keep the boys interested. 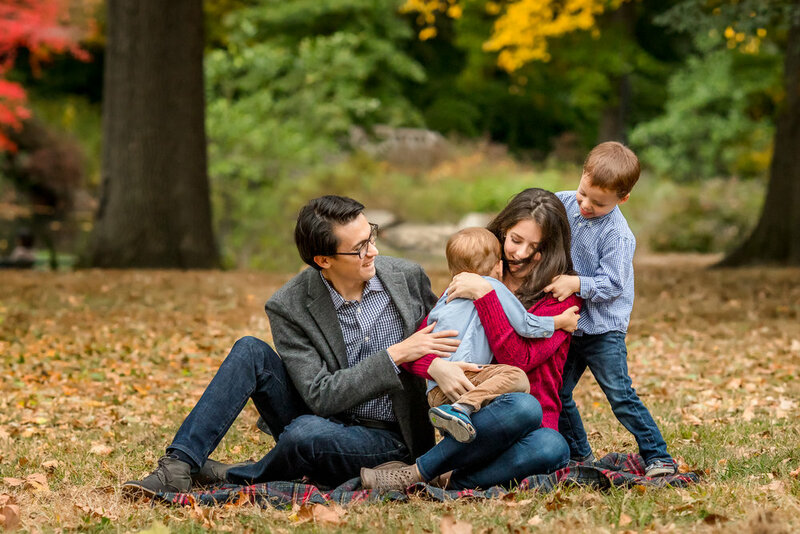 This was my first Central Park family photo session of the fall season, and it could not have been more fun.